We will be celebrating an international potluck. “Potluck” means many different people bring one food dish that they can share with 10 people. 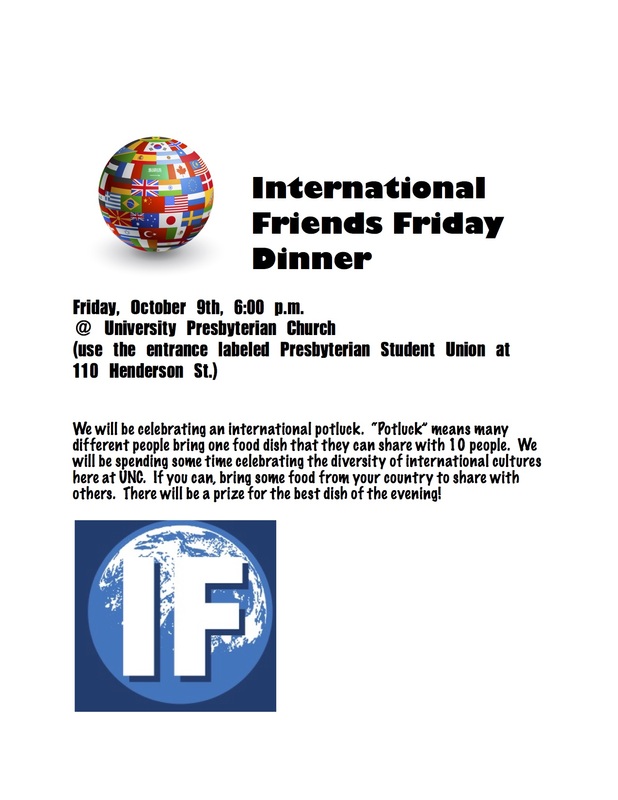 We will be spending some time celebrating the diversity of international students here at UNC. If you can, bring some food from your country to share with others (not required). There will be a prize for the best dish of the evening! 6pm @University Presbyterian Church, use the Student entrance at 110 Henderson St.